It's a chocolate lover's dream. If you've got chocolate on the brain and will do anything (and we do mean anything) to get your fix, you may want to consider booking a last-minute flight to NYC for the weekend. We promise it will be worth it. 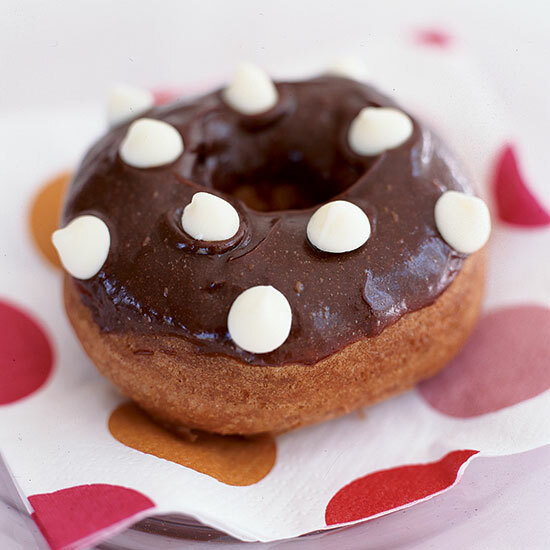 Dough, the Flatiron shop famous for its Instagram-friendly doughnuts the size of your face, will be featuring 15 chocolate-inspired menu items on Saturday and Sunday only. In partnership with Belgian-based chocolate makers Callebaut, the limited edition line-up is enough to give Willy Wonka, Lady Godiva and basically every doughnut shop in the Tri-State area a run for their money. "My father gave me one kilo of chocolate truffles for my first birthday and later on, I visited Europe for the first time and Belgium was one of the stops. It was there where I tasted a chocolate so different and amazing than i had before and this is in a way an homage to that experience," pastry chef Fany Gerson told us. The doughnuts, which will surely attract a line around the block, will be sold for $3.50 a pop. Drool-worthy flavors include a salted brown butter with candied almond crunch, a white matcha with a custard center and hot fudge glaze, and a roasted banana caramel. Needless to say, our plans of sleeping in and heading to a late brunch just went entirely out the window. It will be hard to enjoy the weekend unless we get our hands around one, if not all 15 of these. Who's with us?